With Halloween just around the corner, I guess today’s trend watch is only fitting. A color typically used as an accent or punctuation in a room has taken center stage. Black walls are showing up everywhere. It has taken me a while to warm up to the idea (being an admirer of white and lighter colors), but I can honestly say that black walls have me intrigued. Done right (and I mean right) they can add drama and interest in otherwise bland spaces. It isn’t surprising that designer Jane Hall chose black for her living room. 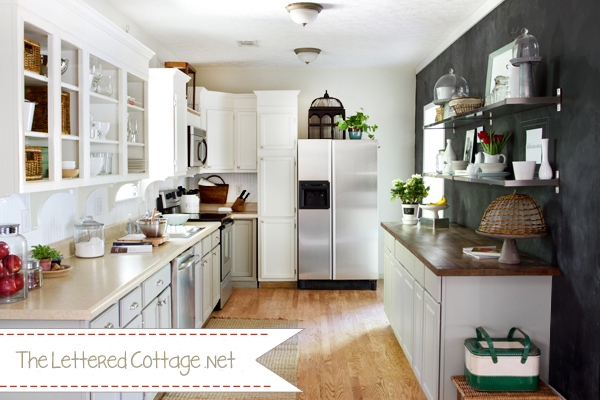 She is known as the anti-cookie cutter designer with a love for an eclectic mix. Paired with pops of bright color, it keeps the space lively. Black is an excellent backdrop for making other details standout. Suddenly artwork, panelling and accessories pop. Painting only a portion of a wall black keeps it from looking too heavy. Black painted walls aren’t just for modern or contemporary spaces. 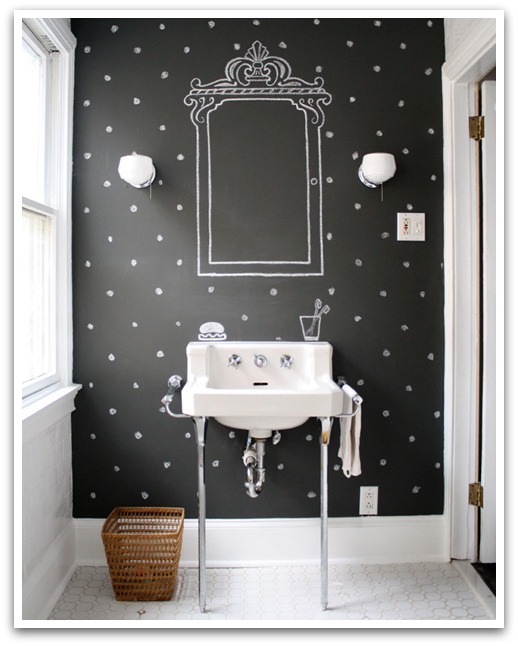 Black chalkboard paint can be used on an entire wall to get the same effect. Black walls can really work anywhere. The common denominator for success is pairing black with white or a bright color. That’s what keeps it from looking like a cave and I think that is the only way I could live with it. How about you? Could you see yourself painting any walls black? « Are You and Your Home Speaking the Same Language?